Whether you are a diversity and training consultant, the head of an employee association, a corporate HR director or the Senior VP of a Fortune 500 company, our goal is to help you and your organization be successful in your efforts to improve your diversity and inclusion initiatives at all levels. Please reach out if you have any questions about our Spectra Diversity Inclusion Assessment or any other diversity and inclusion matter. Contact Spectra Diversity via email or call toll free at 855-344-8688. At Spectra Diversity, we want you, our Partner, to be successful in each and every facilitation. Our job is to provide tips and techniques to help you add to your facilitation skills for both the assessment and the half-day training. When your participants have a great learning experience, we all win. The Partner Certification process will help you understand why and how the tool was developed, the research behind it, and everything you need for successful facilitation of the training. Our joint goal is to build a better workplace through diversity and inclusion. We know you are busy and the thought of a diversity and inclusion assessment may not be a glamorous topic. We want to bring the training experience to you through live, interactive webinars. Our expert trainers will give you tips, make it memorable, answer your questions and model key activities. This certification will be offered quarterly to accommodate your schedule. Whether you are new to diversity and inclusion or a skilled facilitator in this area, this will increase your confidence in delivering a powerful session. Pre-work: Each participant will be asked to complete approximately three hours of pre-work to prepare for the session. Spectra Diversity is here for you! A network of Spectra Partners is being built that you can continue to network with and build best practices into your business. Spectra Diversity will offer a networking and best practices session once a year. In this one-hour online seminar, we will structure a custom agenda based on trends, findings, and new ideas that we learn together.  The Spectra Diversity Inclusion Assessment (SDIA) and Facilitation Kit will show your clients the extra value you bring as a Spectra Diversity Partner with innovative tools.